It is an early morning departure as we have another 15 miles of Johnstone Strait ahead of us. Strong wind warnings are in effect for this afternoon of 20-25 knots. This is a typical forecast for Johnstone Strait. On most days, you need to be off the Strait by early afternoon. We have a few miles of travel down Sunderland Channel and are surprised to see fog as we exit the anchorage with almost zero visibility. Locals call August “ Fogust” due to many days of fog. Looks like they are right. Other than our fog horn’s announcement of our position every two minutes, the pilot house is quite as we both concentrate on the radar and navigation charts. Luckily we are in nice deep channels with no rapids. I certainly would not want to transit the rapids in fog. We poke our nose out into Johnstone Strait and conditions seem good so we will continue on. The fog is thick as pea soup. We closely monitor several targets on the radar as they pass. Today we pay extra attention to Victoria Traffic as they announce positions of commercial vessels transiting Johnstone Strait on the VHF. We also hear a “securite” warning of a floating cabin out in Johnstone Strait. We never see the cabin. Reaching Havannah Channel at 10:30, we say goodbye to Johnstone Strait. Our approach into the Channel is quite dramatic with the tall mountain cliffs still partially obscured by the fog. We must trust the instruments today as the channel entrance is completely hidden. It appears as if we are heading straight into the mountainside. 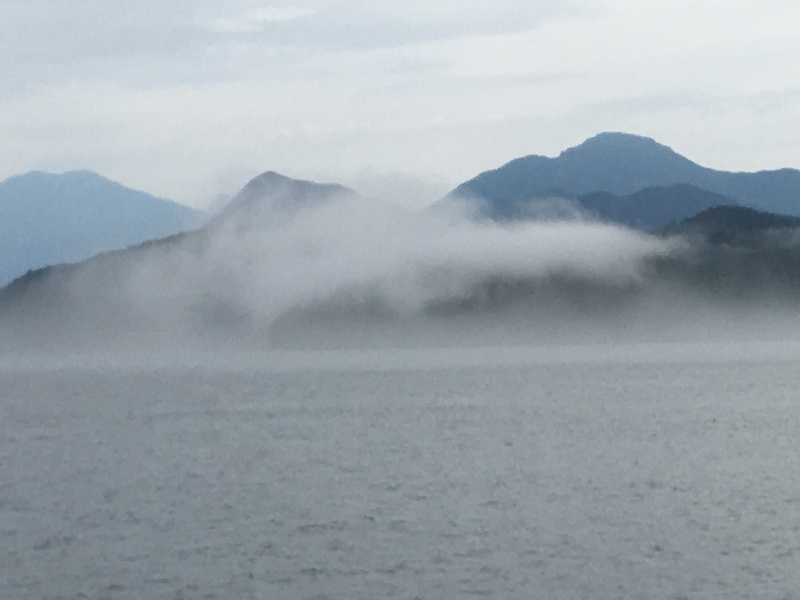 Once inside the channel, the fog lifts completely and we again have some incredible views of the surrounding mountains. 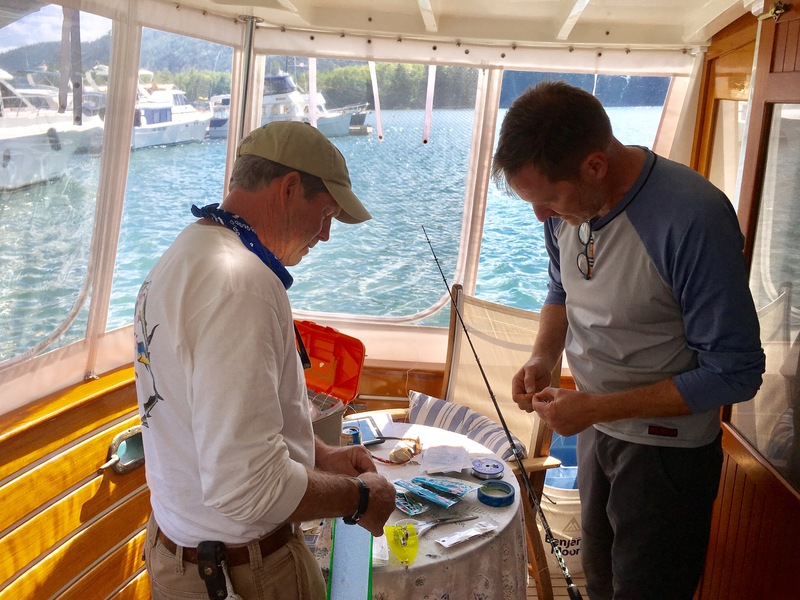 We anchor for lunch in Boughey Bay and try some bottom fishing. The only fish we catch is a small dogfish. 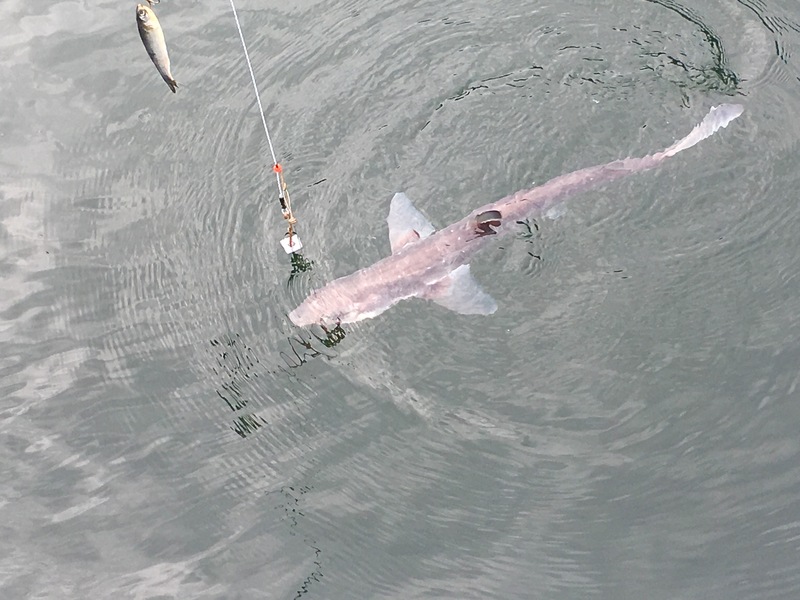 These small sharks have a sharp barb in their tail that will really hurt you, so care must be taken when removing the hook. Supposedly they can curve their tail backwards in defense and a jab with their barb will send you to the hospital. We do see lots of Bald Eagles flying around in the tree tops. Primo is still a little unsure of these magnificent and huge birds and gets quite nervous. The main reason we anchored for lunch was to give Chatham Channel a chance to calm down. Currents through this narrow four mile passage run five knots. There are no rapids or whirlpools like some of the other passes and boats do travel this channel at all times. We prefer to wait on slack current. Our eight knot boat against a five knot current means we wouldn’t go anywhere very fast. Chatham at slack tide is an easy transit. There are range marks to guid us through. Our stop for the evening is in Cracroft Inlet. We find the anchorage empty of other boats. As we have worked our way north, the number of other boaters has dwindled substantially. This area is reported prime habitat for prawns so we set up one of the prawn traps that we purchased earlier this year. For bait we have a stinky prawn pellet known as “Prawn Candy” along with a can of Fancy Feast cat food ( nothing but the best). We set our trap in Cleo Channel in 175 feet of water. 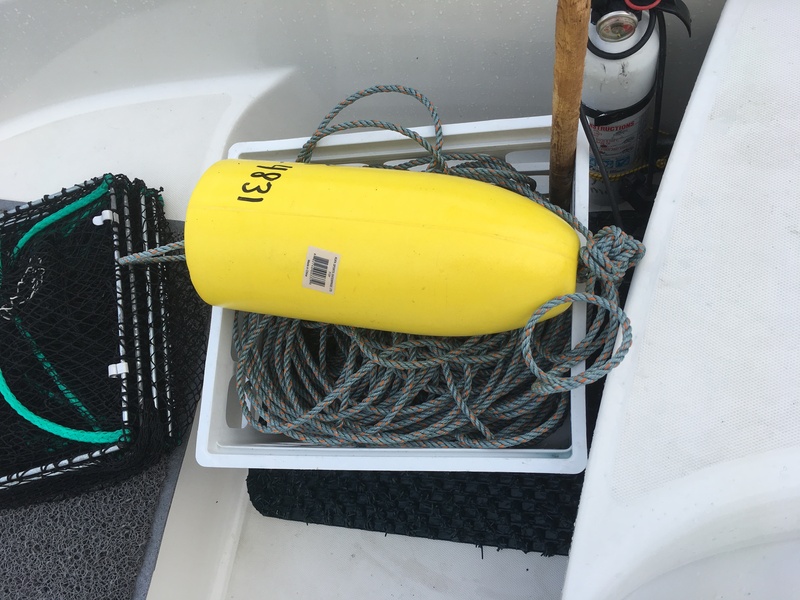 We add our two crab traps to the collection already in our anchorage. To bait these we bring out the big guns of salmon heads from the salmon we caught while at Campbell River. We will check our traps tomorrow morning. We are up early to retrieve our prawn trap. Having set it several miles from the boat, we have long dinghy ride. The weather has turned nasty with cold blowing wind. It is a little lumpy as we make our way across the bay. We were worried that our trap set in 200 feet of water might have been carried into the deeper four hundred foot depths. We only have 300 feet of line on the trap. 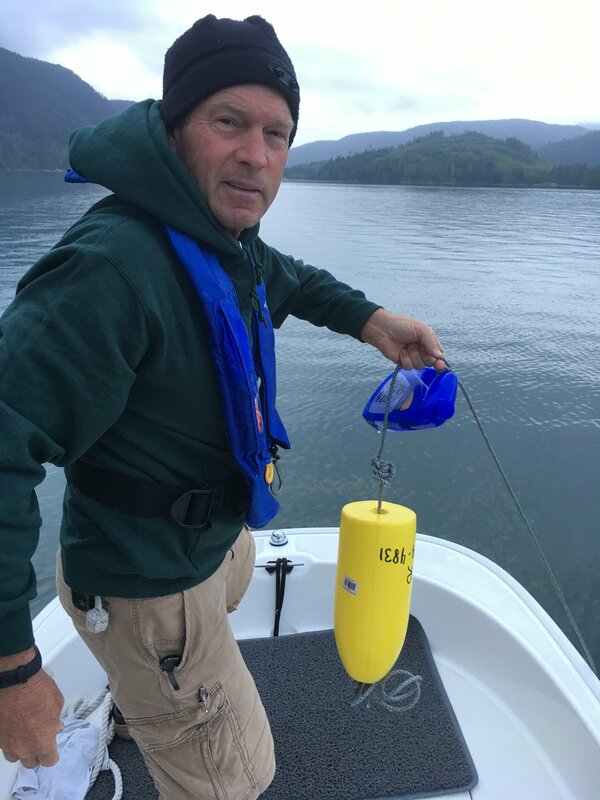 After a few minutes of searching, we are relieved to see the yellow buoy merrily bobbing in the chop. Jeff is an unhappy camper as he slowly hauls the trap from the deep waters while enduring the cold, rain, and wind. He vows that this is our first and last prawn expedition. As the trap reaches the surface his attitude quickly changes. We have shrimp!!! 18 B. C. spotted prawns are soon treading water in our bucket. This would be a pitiful catch for some but we are so excited to have any shrimp. This renews our (Jeff’s) enthusiasm for prawning B. C. Style. 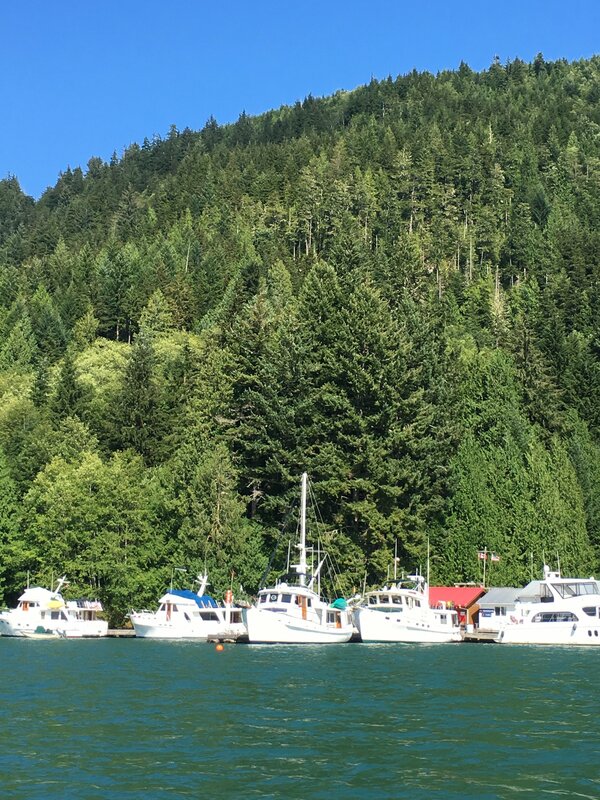 This afternoon we head over to Lagoon Cove Marina, just a few miles from our anchorage. Our Krogen friends, Wendy and Leigh, join up with us here. The marina is totally self sufficient. They generate their own electricity for the docks and water is supplied from their spring and is gravity fed. This is a popular stop for the local whale/bear watching tour boats as Lagoon Cove is the only place around for fuel. Their Klondike Bars and Ben and Jerry’s ice cream are very popular with the tourists. The well stocked fishing selection was carefully surveyed by Jeff and Leigh. They both purchased Deep Six down rigger planers which hopefully will help us hook the big salmon. Jeff and Leigh spend the next few hours rigging the rods. Both dinghies go their separate ways in search of fish. Returning to the dock an hour later, we are skunked. 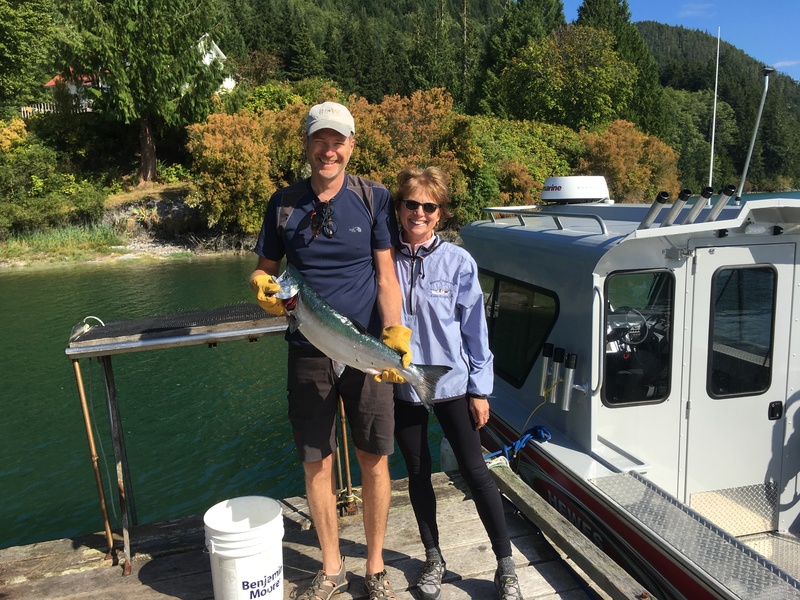 Wendy and Leigh however have caught their first salmon, a beautiful 10 lb. Coho. We are a little envious but very excited for them. Lagoon Cove Marina has an extensive history among the boating community. This marina was owned and run by Bill and Jean Barber until Bill passed away in 2013. Bill’s bear stories are legendary. The property was sold last year and the new owner is continuing their tradition of happy hour each evening in the historic work shop. 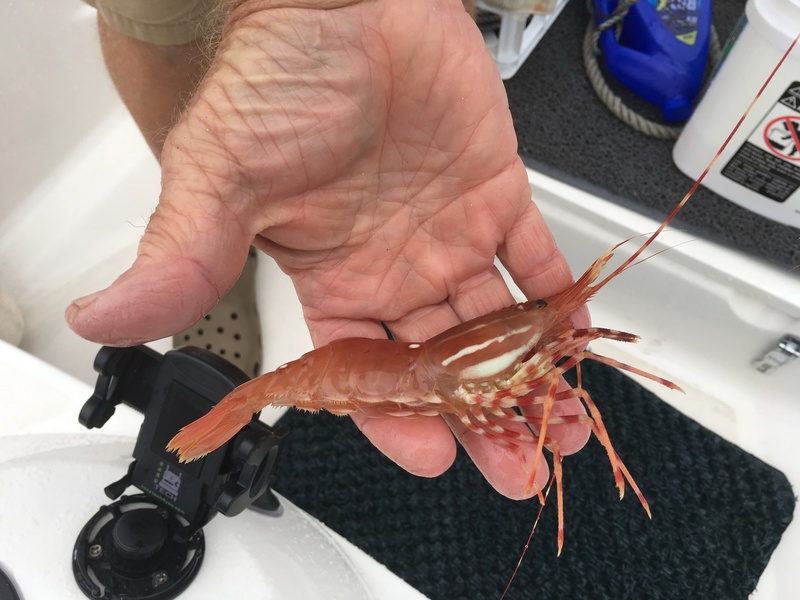 Boaters bring their favorite appetizer and the marina supplies fresh prawns caught each morning from their traps. These local prawns are really tasty. We are up early the next morning to pull our prawn traps. We had set these traps about a mile from the marina in 250 feet of water. The weather today is much nicer than yesterday as it is flat calm. Just like the weather, Jeff’s attitude has also improved. After a good upper body workout, Jeff hauls the trap from the water to find twelve large prawns. These combined with our catch yesterday should make a meal. Back at the dock, we find unlimited fresh brewed B.C. roasted coffee provided by the marina. Being a short travel day, we are in no rush to leave. 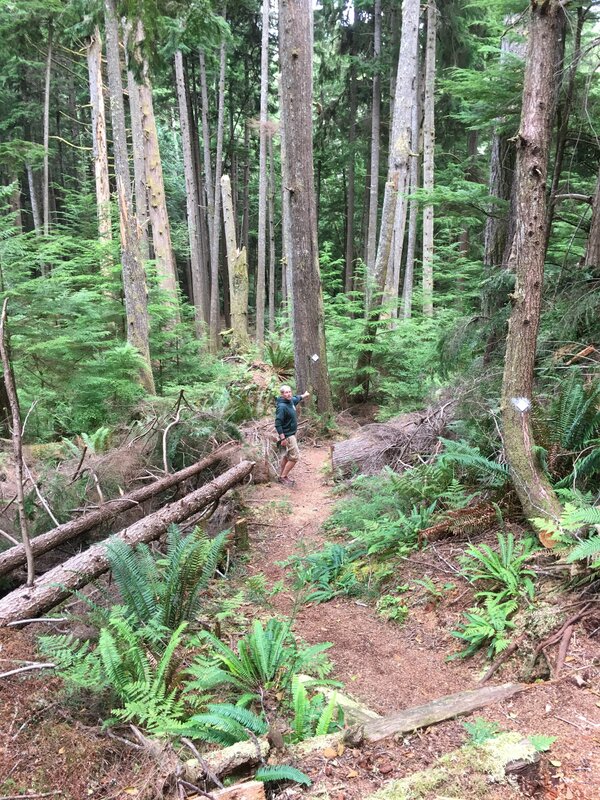 The next few hours are spent exploring some of the marina’s well marked hiking trails. We never see any bears but have our bear spray just in case. A resident young male black bear was spotted yesterday in the apple orchid. Although we are not much for going into marinas, Lagoon Cove is a great stop and we look forward to returning next year. This entry was posted on August 19, 2017 at 1:50 pm. You can follow any responses to this entry through the RSS 2.0 feed. You can leave a response, or trackback from your own site.